Lauren Cason, a director at the New Orleans Convention and Visitors Bureau, explains how the city's PR community has bonded post-Katrina. When Hurricane Katrina crashed into New Orleans in August 2005, Lauren Cason was only three months into her first job as PR assistant for The Ritz-Carlton, New Orleans. The hotel did not escape the storm unscathed. It closed temporarily due to flooding and Cason relocated to New York and later Texas, where she continued to work for the chain. Five years later, Cason, who grew up in the nearby town of Lafayette, found herself back in The Big Easy, aiding the reopening of the Hyatt Regency New Orleans. Upon her return, she was struck by how the PR community in the city had bonded together, compared with the other regions where she had been working – a factor she attributes to Katrina. "New Orleans is a tight-knit community for all of the people who have worked through the challenging time post-Katrina and can now see the fruits of their labor," explains Cason, now the New Orleans Convention and Visitors Bureau’s director of marketing and communications. "This extends to the city’s PR community, which is always looking for opportunities to collaborate with one another." The visitors bureau, for instance, holds quarterly meetings where it unites communications professionals in New Orleans to look into upcoming events in the city, such as Katrina’s 10th anniversary next year, and how they can work together to promote success stories, as well as each other’s businesses. Local PR firms include the bureau’s AOR Deveney, The Ehrhardt Group, Gambel Communications, and Bond PR. Right after the hurricane, businesses had to get word out about the different tourist areas in the city that were still safe to visit, and media outreach was the primary focus. "The media has helped us to create an incredible picture of how New Orleans has come back," Cason explains. Being the host city for major events has also helped organizations in the area to flourish, she adds. Super Bowl XLVII and WrestleMania 30 were held in the Mercedes-Benz Superdome in 2013 and 2014, respectively, and this year, the 2014 NBA All-Star Game was played at the Smoothie King Center. Tourism has rebounded as one of the biggest industries in the area, driving more than 80,000 jobs. 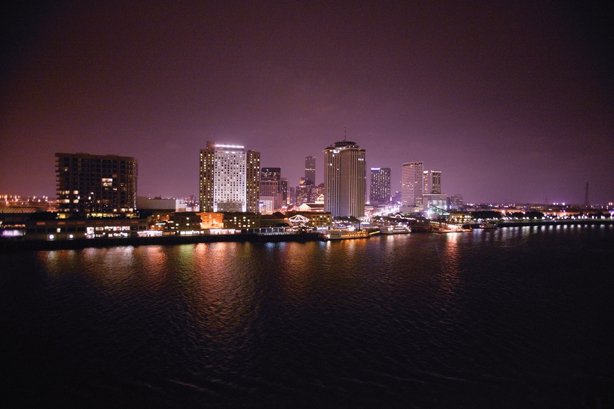 Last year, New Orleans welcomed about 9.3 million visitors who spent a record $6.47 billion. In 2004, a record breaking 10.1 million people visited the area, but in 2006, after Katrina, visitor numbers dropped to 3.7 million. This has led to a surge in smaller businesses sprouting up. "There are more entrepreneurs here than before," she says of changes to the city post-Katrina. "This makes for opportunities for those in the PR industry, though it is still very competitive and the talent pool continues to grow." 1. For a business dinner, Cason recommends Tableau located on Jackson Square; or for networking drinks, she chooses the cocktail bar Cure on Freret Street. 2. The city’s Mercedes-Benz Superdome hosted Super Bowl XLVII in 2013, which is widely remembered for the power failure that halted the game for about 35 minutes. 4. The total estimated damage for Katrina is $108 billion, according to FEMA. 5. The city’s unemployment rate in July 2014 was 5.1%, compared with the national rate of 6.2% in the same time period, according to the US Bureau of Labor Statistics. 6. In 2018, New Orleans celebrates the 300th anniversary of its founding.